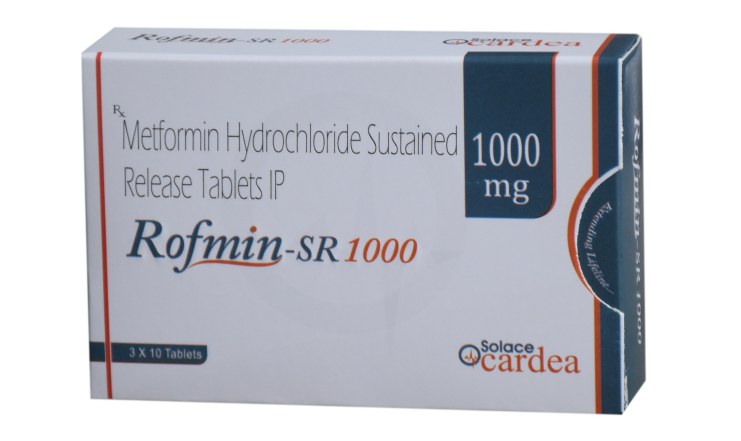 Rofmin SR 1000 Tablet contains metformin. It is also an oral antidiabetic drug which belongs to biguanide class which is the first line treatment for type 2 diabetes mellitus. It causes suppression of glucose production by liver.